About Us - McInerney Investment Advisors, Inc.
At McInerney Financial Group, LLC (MFG) we strive to provide you with the very best in estate, retirement, tax, insurance and financial planning services. MFG encompasses a family of companies to provide you with sound financial services. 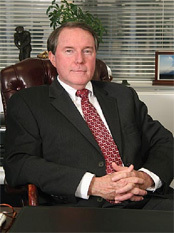 John is president of McInerney Financial Group, LLC, McInerney Investment Advisors and McInerney Associates. He has been serving Central Florida since 1976. John began his career with the Pension & Estate Planning Company. In 1982, he went to work for Tucker & Branham and acquired his property and casualty license. In 1995, John started what is now known as McInerney Associates and since then, expanded the company and formed McInerney Investment Advisors and McInerney Financial Group, LLC. He has conducted over 700 public seminars with topics on estate and financial planning fundamentals. Series 65 Uniform Investment Advisor Law Examination – Stocks, Bonds, Mutual Funds, ETFs, Managed Portfolios, etc. John was born in Providence, RI. His father was in the military and consequently lived in several states and two foreign countries. He settled in Orlando, Florida, in 1967, where he met his wife, Coralee, and they married in 1981. They have one son, John T. McInerney, who is also in the family business. John’s hobbies include swimming and playing golf.